Raised from the depths of Hell by occult-loving Nazis, Hellboy was saved and brought up by his adopted father Professor Broom and became the heroic red-hued hero we know and love. 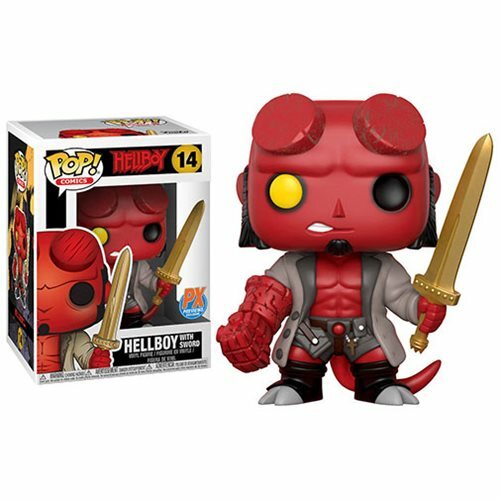 In The Storm, Hellboy confronts his destiny as the bearer of the sword Excalibur and now you can collect him in adorable Pop! form! This Hellboy with Excalibur Pop! Vinyl Figure - Previews Exclusive stands about 3 3/4-inches tall and comes packaged in a window box. Ages 3 and up.